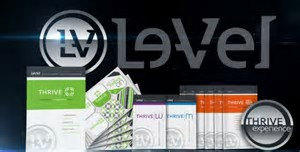 THRIVE by Le-Vel is something that's hard to explain, and challenging to describe... it's something that can only be experienced. The THRIVE Experience is a combination of our THRIVE Premium Lifestyle Capsule, THRIVE Ultra Micronized Lifestyle Shake Mix, and our patent pending Premium Lifestyle DFT (Derma Fusion Technology). Our premium naturopathic and synergistic formula of Vitamins, Minerals, Plant Extracts, Anti-Oxidants, Enzymes, Pro-Biotics, and Amino Acids is like nothing your body has ever experienced! It's Ultra Premium at its finest. What's even better is that the experience is gender specific for Men & Women. 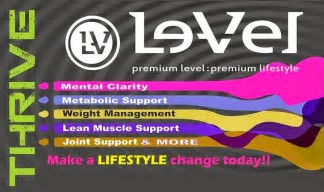 If you are interested in Thrive click on this Website:http://joymoore74.le-vel.com and sign up for a free account. You can also e-mail me with any questions or for more information.